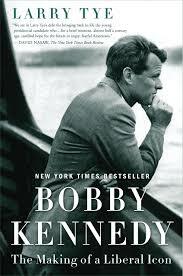 This week marks the 50th anniversary of the assasination of Senator Robert F. Kennedy in Los Angeles. Kennedy's death has left supporters and political scholars with plenty of unanswered questions about the direction the United States might have taken had he been elected. In 2016, ideastream's Dan Polletta spoke to Larry Tye, author of "Bobby Kennedy: The Making of a Liberal Icon (Random House) about Kennedy's evolution from a Cold Warrior, who was slow to move on Civil Rights to an ardent opponent of the Vietnam War and a champion of the poor and disadvantaged.